Write on surfaces such as glass, plastic, film, paper, metal, and rubber. Marks wipe away clean from porous surfaces. 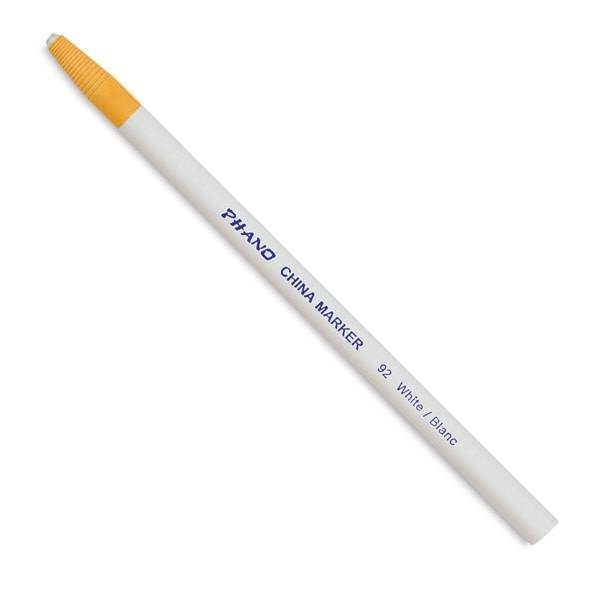 Dixon Phano China Markers are paper-wrapped with a tear-string for easy sharpening. PMA certified non-toxic. Make beautiful, bold strokes on almost any porous or non-porous surface including glass, plastic, film, paper, metal, and rubber. Marks are water-resistant and colorfast, but wipe clean from non-porous surfaces. Dixon Phano China Markers are paper-wrapped with a tear-string for easy sharpening — no need for a sharpener.